Sunwayfoto has recently become the second player in the Manfrotto® RC2 / Arca-Swiss® dual compatibility game, with their new 60 mm quick release clamp. 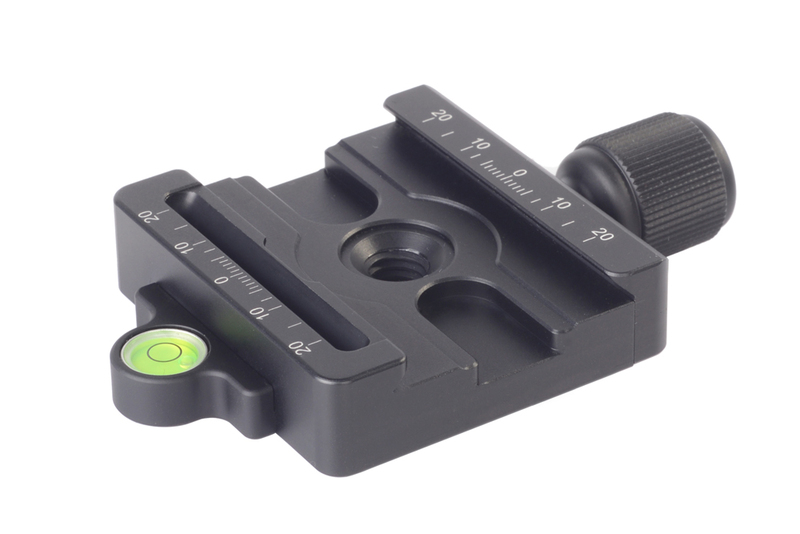 As you may recall from older reviews and update posts Desmond was the first with their Desmond DBA-1 QR Clamp more than a year ago, followed a few months ago by the lighter Desmond DBA-2 . 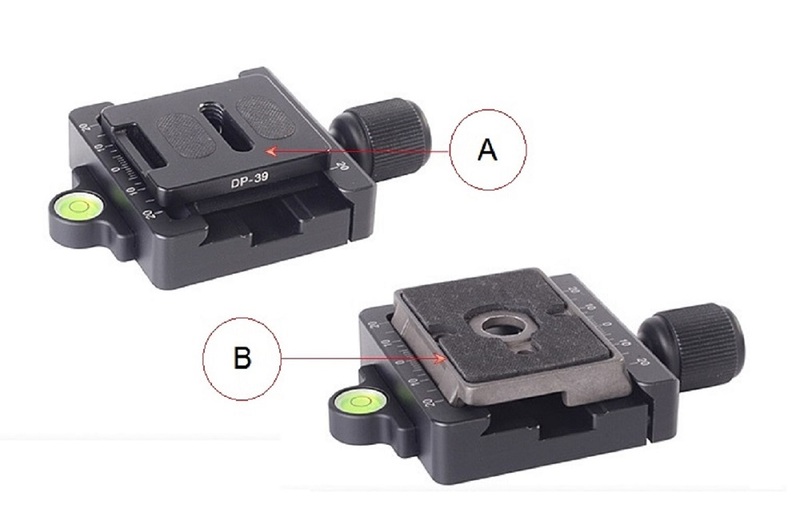 Although Sunwayfoto prices have dropped last month, the MAC-14 Manfrotto® RC2 / Arca-Swiss® dual compatibility QR clamp is still a little more expensive than its rivals. Nevertheless, what you get in plus is the exemplary Sunwayfoto quality and superb finishing. The Sunwayfoto MAC-14 looks a bit like the new Desmond DBA-2, however it retains something of the Sunwayfoto touch as it is a direct descendant of the original Sunwayfoto DDC-60 screw knob clamp. The maximum dimensions of 99 mm (3.90") and 60 mm (2.36") of the Sunwayfoto MAC-14 combined with its mass of 124 gr ( 4.4 oz) classify it in the large clamp category. 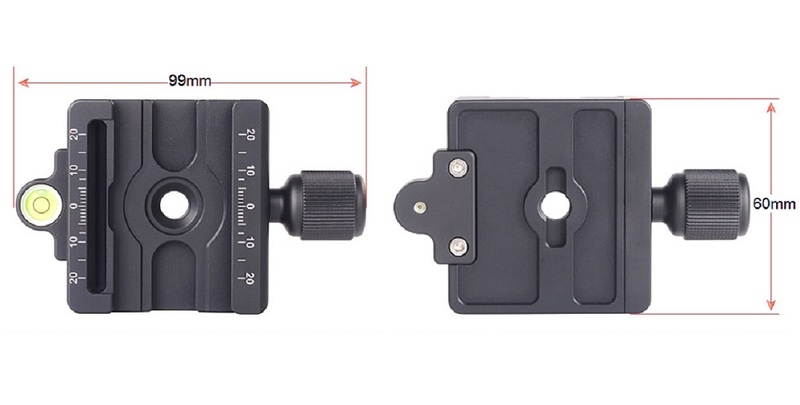 The MAC-14 accepts both Arca-Swiss® compatible and Bogen® 3157N / Manfrotto® 200PL-14 compatible plates, being just a little wider than the original Sunwayfoto DDC-60 screw knob QR clamp. Actually MAC-14 is based on the DDC-60 clamp design, sharing the same scre-knob, the laser engraved decimal scales on both jaws and the deep safety screw relief grooves. The counter sunk and 3/8"-16 threaded hole is also there. The only differences are, the extra slot on the steady jaw which accepts the front dovetail of the Manfrotto 200PL-14 plate and the larger removable bubble level which has moved in the front from its old position in one of the safety screw relief grooves. The bottom side has shallow carvings eliminating some material, somewhat reducing the total weight, but not as much as the improved DDC-60i QR clamp. 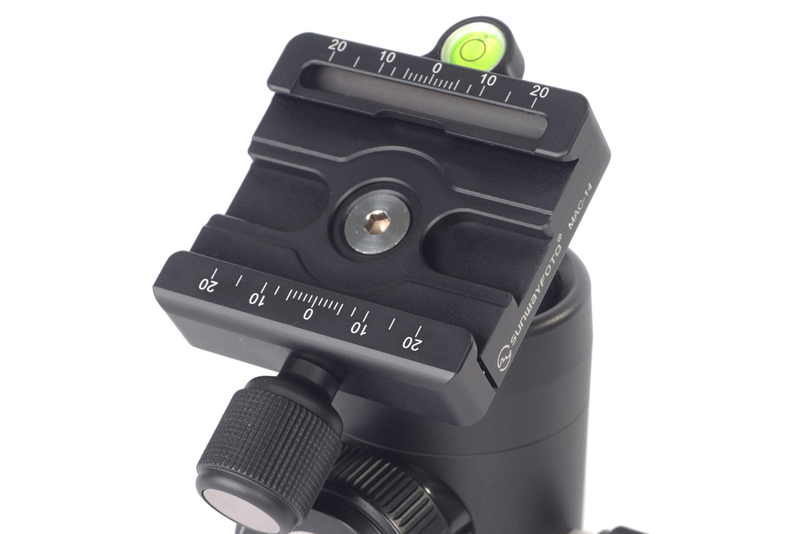 Something new with Sunwayfoto clamps is the way the removable bubble level is attached. 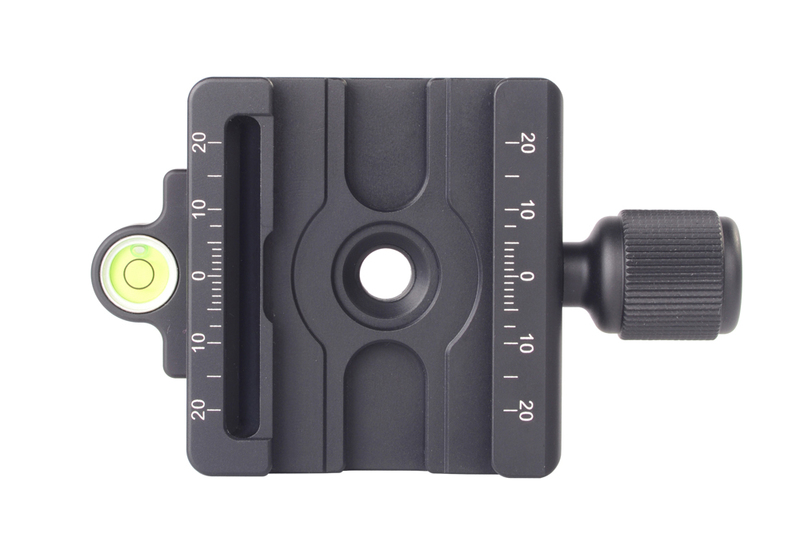 Due to the Manfrotto dovetail slot on the steady jaw, the bubble level is screwed at the bottom of the clamp, instead of the front which is the common Sunwayfoto practice. Along the center hole there is the usual anti-twist groove which matches most ball head stem anti-twist bosses. Sunwayfoto MAC-14 QR Clamp illustrated with (A) the Sunwayfoto DP-39 Arca-Swiss® compatible QR plate clamped within the clamp's jaws and (B) the Manfrotto® 200PL-14 RC2 plate inserted in the relevant slot in the front steady jaw and clamped by the moving jaw at the back. 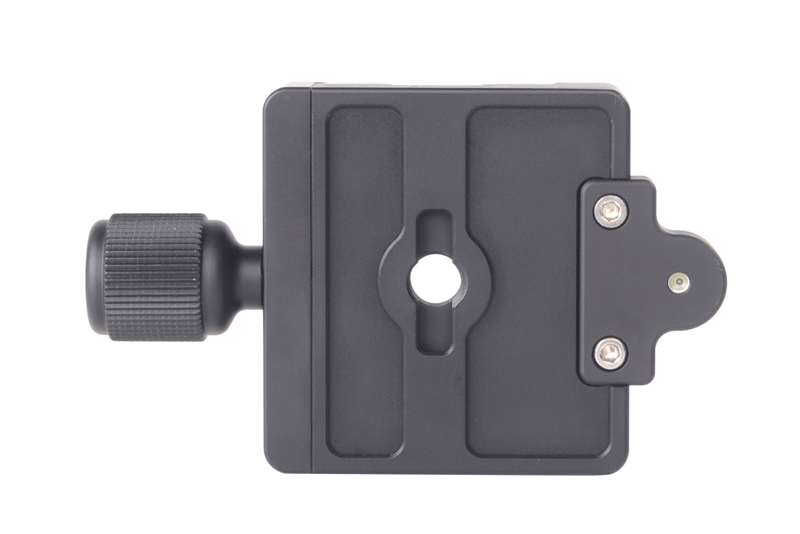 Sunwayfoto MAC-14 QR Clamp is easy to attach on a ball head ball-stem either via its 3/8"-16 threaded center hole or via the included M6 stainless-steel hex-socket screw.